The 2018 college football season will see Conference USA look to build off of the momentum that they created for themselves last year. 2017 saw Conference USA send nine teams to bowl games which by far was the most in one year for the conference. And a big reason that Conference USA became more relevant was due to the fact that they had some head coaches with clout behind them. In his first year as the head football coach of the Florida Atlantic Owls, Lane Kiffin took a team that only won three games in 2016, to 11 wins last year which resulted in their first Conference USA Championship. Kiffin wasn’t the only high profile coach in the conference as former Miami Hurricanes head football coach Butch Davis led the Florida International Panthers to their first bowl appearance in six years as his squad finished second to Florida Atlantic in Conference USA East. And heading into a new season, the Owls and Panthers are each looking to build off of last year’s success as they look to win the conference crown. 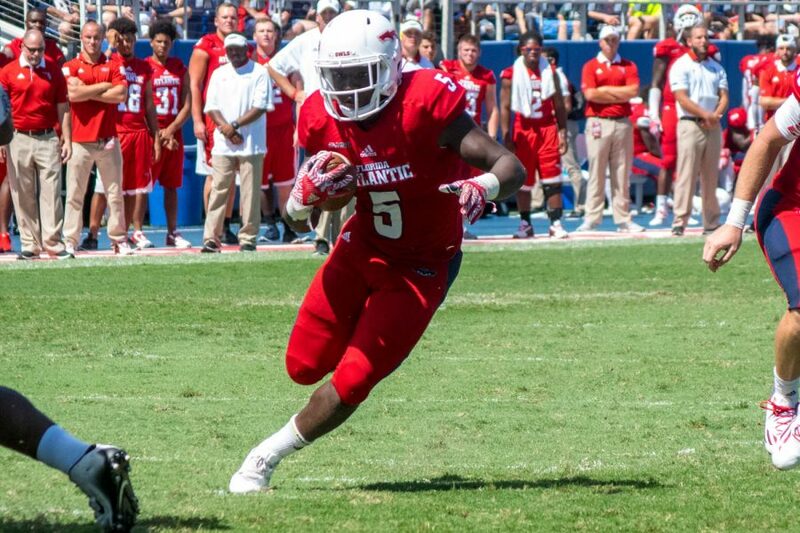 Florida Atlantic will once again be the favorite to win Conference USA and it is due to the play makers that they have on both sides of the football. Last year running back Devin Singletary was a one-man wrecking crew as he amassed 1,920 yards on the ground. With the exceptions of the Owls first two games of the season, Singletary rushed for at 100 yards in every contest, while Florida Atlantic only lost one game in which he reached the century mark. Singletary was a workhorse for the Owls he carried the football 301 times in 2017, and you have to wonder if that workload will take away from his productivity this year. Whereas Singletary is the favorite to be Conference USA’s Offensive Player of the Year, Florida Atlantic also has several candidates to be the league’s top defender. Senior linebacker Azeez Al-Shaair led the team in tackles last season with 147 as any ball carrier that he gets close to is stopped in their tracks. Junior linebacker Rashad Smith is another solid tackler for the Owls, while senior safety Jalen Young has some of the best hands for a defender in the nation. Last year Young tallied 7 interceptions, and his name will be in the discussion to win the Jim Thorpe Award as the top defensive back in nation. For the upcoming college football campaign, it is Florida Atlantic and everyone else in Conference USA as they Owls are simply a cut above the competition in the league. A potential meeting with the UAB Blazers could be on the horizon for Florida Atlantic in the conference title game, but there isn’t anything that will stop them from winning the league for the second consecutive year, while also potentially getting an invite to a New Year’s Six bowl game.